Customize your 42mm/44mm Apple Watch, Apple Watch Sport, or Apple Watch Edition with a black Apple Watch Sport Band. Made of high-performance fluoroelastomer, this band uses a pin-and-tuck closure to stay secure. The band can be configured for either small/medium or medium/large lengths and fits individuals with wrists 5.5 to 8.3" around. 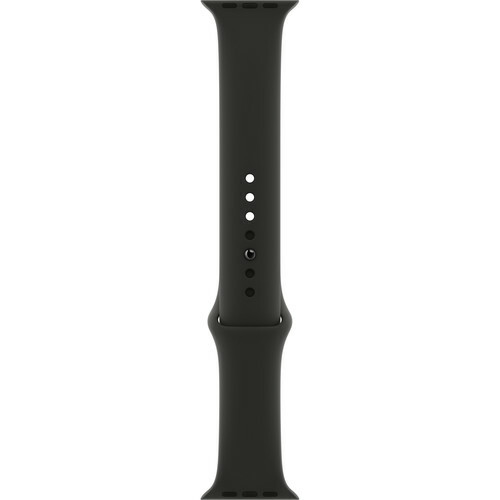 Box Dimensions (LxWxH) 12.2 x 2.95 x 0.45"
Watch Sport Band (42mm/44mm, Black) is rated 5.0 out of 5 by 1. Rated 5 out of 5 by Suren from The best of its kind. This is the best silicone band that you can buy for your watch.